The Roco Rescue Blog has Moved! The Roco Rescue Blog has moved to our main website at http://www.RocoRescue.com – We have over 200 rescue-related articles on our blog and are constantly working to bring you the most relevant content in the industry! Roco Techniques Right at your Fingertips! Introducing the NEW CMC / Roco Cobra Rescue Harness! The centerpiece of our new harness is the patented (ANSI approved) “Cobra” buckle from AustriAlpin. What does ASTM say about Rope Inspection? 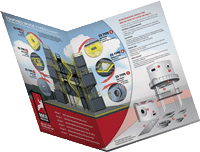 Get Your NEW Confined Space Types Chart! Roco’s new Pocket Guide features 58-pages of color illustrations of the techniques and systems taught in our classes. Note: Posting full articles from other sites/sources is not permitted without permission of the copyright holder. Posting a headline, a paragraph or two and a link to the full story is typically acceptable. Blogs are intended for original content by the author or brief synopsis of items with links elsewhere. Blogs in violation of this or that contain inappropriate content may be deleted without notice. Roco Rescue OnLine has been created as a resource for sharing insightful information, news, views and commentary for our students and other rescuers. Information on this website in NO WAY REPLACES PROPER RESCUE TRAINING. Users and readers are 100% responsible for their own actions in every situation. We make no representations as to accuracy, completeness, or suitability of any information and are not liable for any errors, omissions, or delays in this information or any losses, injuries, or damages arising from its display or use.